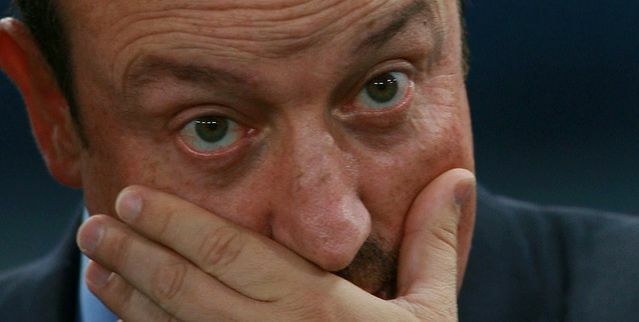 We are sad to report that Rafa Benitez today filed suit for legal dissolution from his current wife. 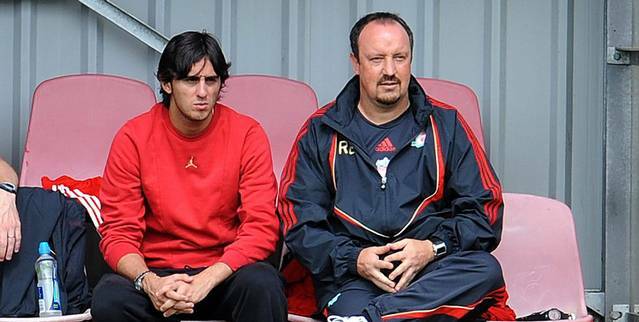 Despite the cultural and legal impetus to remain linked with his lady love, Rafa’s divorce petition outlined a series of grievances that rendered the situation untenable. And they shouldn’t surprise you. Liverpool fans floated on cloud nine last April, their beloved Reds within striking distance of Manchester United for the league title, and a semi-final date with Chelsea in the Champions League. Then, to put it simply, the wheels came off. Benitez’s zonal marking made a second choice rightback look like a giant, and the second-to-last-weekend proved a bitter pill. At least, until the summer came along. Liverpool sold midfield fulcrum Xabi Alonso to Real Madrid, replacing him with the unproven, seemingly mythical Alberto Aquilani. While Rafa did purchase the impressive Glen Johnson, the fans were confused. Where had the transfer kitty really gone? Where was the second Torres to complete an unstoppable offense? Rafa complained to the press about stingy American owners, but recent facts have come to light. Only 6 games into the new premier League season, Ryan Babel has plunged into depression at his lowly place in the Google pecking order. Despite a fortuitous late brace against Hull on Saturday, Babel was distraught when a self-Googling Sunday session revealed that he was lagging behind entries for Yahoo Babel Fish translator, the film Babel (both the imdb and wikipedia entry) and even the ancient and mythical Tower of Babel.